The benchmark U.S. Treasury note rose back to the highest levels of the year Thursday as investors see better times ahead for the economy. 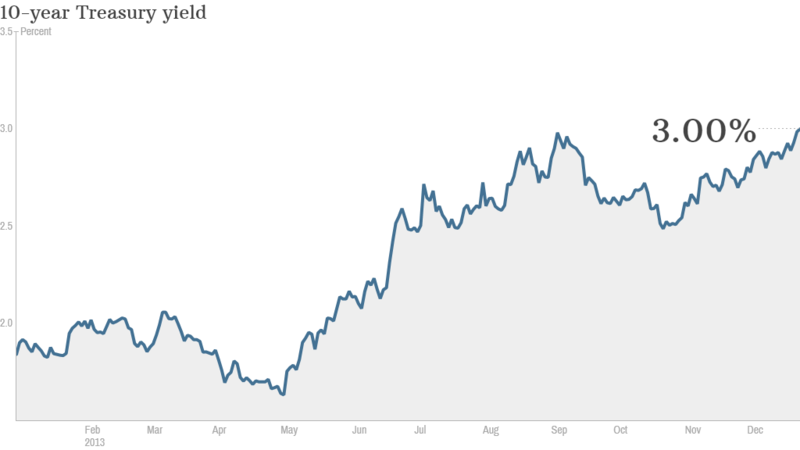 The 10-year Treasury yield rose to a high of 3%, the highest level since September. That's up from a low of 1.63% in May. Bond yields rise when prices fall. Kevin Giddis, head of fixed income at Raymond James, said the selling was triggered by a drop in weekly claims for unemployment benefits. But the bond market has been under pressure recently as investors expect the economy to improve and interest rates to rise next year. "It appears that the momentum trade for bonds is to take them to a lower price and a higher yield," said Giddis. Investors have been fleeing the bond market this year, with a record $77 billion flowing out of mutual funds and exchange-traded funds that own bonds. This is the first time in nearly a decade that investors have taken more money out bond funds than they've put in -- and it tops the previous record from 1994 when investors withdrew almost $63 billion. The sell off comes as the Federal Reserve begins a long-awaited tapering of its bond buying program. The Fed announced earlier this month that it will buy $75 billion worth of Treasuries and mortgage-backed securities each month, down from $85 billion. Outgoing Fed chairman Ben Bernanke said the central bank plans to incrementally reduce its purchases as long as the economy continues to recover. The Fed has been buying bonds since 2009 to push interest rates lower and help support the economy. The 10-year Treasury note is linked to rates on various types of consumer loans, including mortgages. Rates on the average 30-year mortgage have ranged from a low of 3.34% in the first week of January to a high of 4.58% in August, according to Freddie Mac. Analysts expect bond yields to continue higher in 2014, although few are anticipating another bond market rout. As money flows out of bonds, stock prices have soared to record highs. 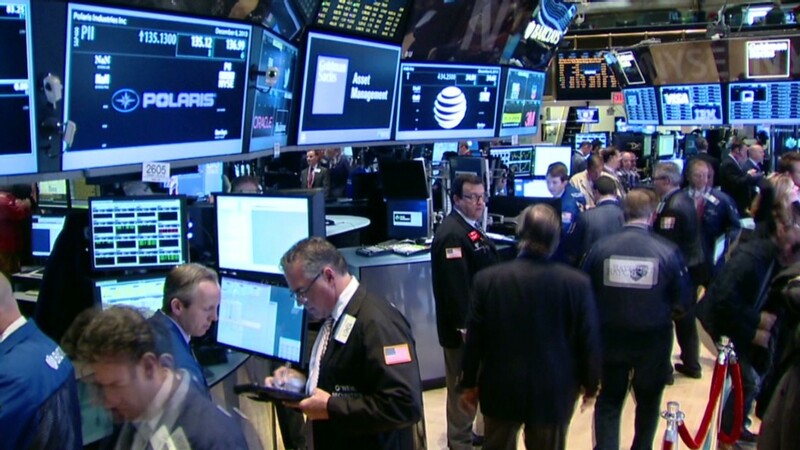 The Dow Jones industrial average and S&P 500 are both up more than 20%, while the Nasdaq has soared over 30%. The Dow is on track for its best year since 2003 and the S&P 500 on pace for its best year since 1997.